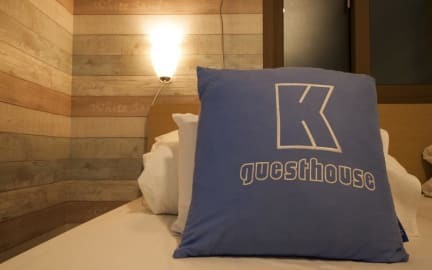 K-guesthouse Sinchon 2 i Seoul, Sydkorea: Reservér nu! K-guesthouse Sinchon2 is located 5minutes from Sinchon station(Line 2). It has advantage to get to Hongdae, Edae, Jongno easily. Sinchon is famous for youth a long time ago. causes it surrounded Yonsei Univ, Ewha women's Univ, Seogang Univ, and Hongik Univ. There are many hot place for food, shopping, Cafe so not only for Korean but also Foreigner love as 'Must go ' place. 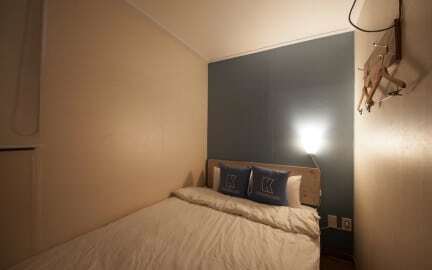 K-guesthoue Sinchon 2 is global guesthouse concept of Simple & Highend lodging. 3. If you arrive after 23:00 in Seoul, please inform the property in advance so that the staff can wait until you come.